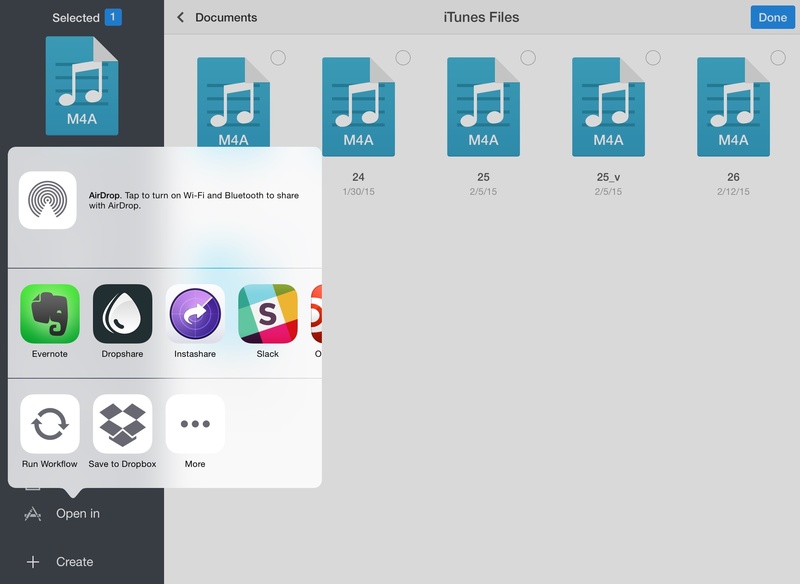 Dropbox updated its official iOS client earlier today, adding the ability to save files to your account from any app using the iOS 8 share sheet. Version 3.7 of Dropbox, available now on the App Store, adds an action extension that lets you copy any file that can be shared with iOS’ native share menu directly to your Dropbox account. The extension is fairly basic: you can save to your root Dropbox folder and navigate sub-folders; when uploading, a modal dialog will show a progress bar, which will be automatically dismissed when the upload is done. In my first tests, I was able to successfully save files from Outlook, Apple’s Photos app, Documents 5, and PDF Expert. The extension accepted a variety of file types I tested, including images, PDF documents, compressed archives, and audio files. The new Dropbox extension in action. Thanks to the native extension connected to the Dropbox app, the need for manual authentication with a Dropbox account in third-party apps will be largely obviated for basic upload needs. Because the action extension is available anywhere on iOS with share sheets, Dropbox has essentially created a universal “Save to Dropbox” feature, embedded natively in iOS and that developers get “for free” by supporting extensions. Dropbox had previously updated its iOS client with a document picker, which allowed the app to expose its files and folders to other apps on iOS, such as today’s updated versions of Office. 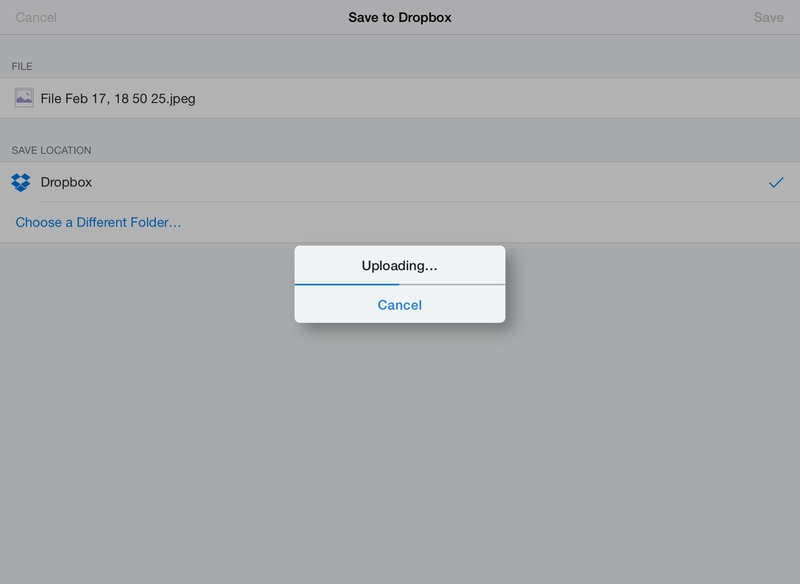 Dropbox 3.7 with the new action extension is available on the App Store.